The island is surrounded by continuous fringing reefs. 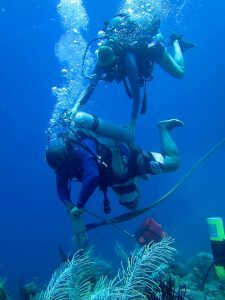 Anchoring damages our fragile coral reefs and is prohibited everywhere. Boats with a length of less than 4 m. (12 ft) are permitted to anchor but may only use a stone anchor. Visiting boaters may use VHF CH.77 as a hailing channel and then switch to either 71 or 88A for conversing. All other channels are assigned to specific users. 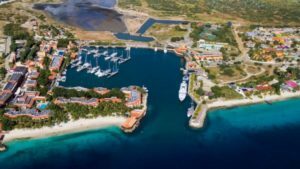 Bonaire has two all-weather marinas: Harbour Village Marina, VHF Ch. 17 / phone (599) 717-7419 and Plaza Marina, VHF Ch. 18/phone (599) 717-2500.
International law (MARPOL) prohibits the discharge of any type of garbage – including food – into the sea within 3 miles of land. Help us protect our reefs and marine life by being particularly careful with plastics and other non-biodegradable items. • If it goes overboard – go get it. • Retrieve any floating garbage you see. • Take your garbage shore side. Containers are available at the Harbour Village Marina and the Plaza Resort Marina. Do not dispose of garbage elsewhere; all green bins are privately owned. • Spent oil may be disposed of in a special tank located at the SELIBON recycling plant. Vessels with onboard holding tanks are encouraged to use them and dispose of their waste periodically offshore at least 5 miles from the nearest land. • Please take batteries of all types back with you to your home country for proper recycling or disposal. The less garbage you leave behind, the better. Bonaire does not have recycling facilities for toxic products such as batteries. • First come, first serve; the buoy cannot be reserved. • Boats longer than 15 m. (45 ft) may not tie onto the buoy. • Only one boat per buoy, or up to three small boats of 4 m. (12 ft). • Time limit on these buoys is a maximum of 2 hours. • No boat is allowed to overnight on these buoys, including inside Washington Slagbaai National Park. • Sail boats with tall masts or fishing boats with tall towers are not allowed to tie on to the buoys along the landing strip of the airport (buoys number 36 and 37). • Always tie from the buoy. • The tie-on line should not be shorter than 6 m. (18 ft). Use of the moorings is at your own risk. 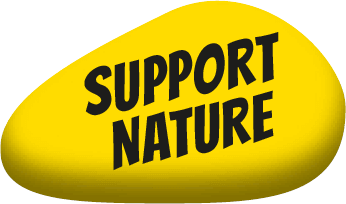 The Bonaire National Marine Park accepts no responsibility for any loss or damage. Spear fishing and the possession of spear fishing equipment are strictly prohibited. If you have a spear gun, please leave it with the Customs Office while you are on Bonaire. please use a tie-on line. Use of chains is prohibited. Only one boat with a maximum length of 18 m. (55 ft) allowed. Harbour Village Marina manages the moorings and the payment of U.S. $ 10 per night must be made at the marina office. Contact the marina on Ch. 17 VHF or phone 717-7419. Use of the moorings is at your own risk. 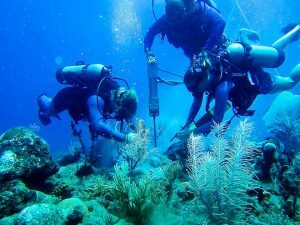 The Bonaire National Marine Park accepts no responsibility for any loss or damage. • For non-commercial purposes, the applicant must be registered at the Bonaire municipal registry. 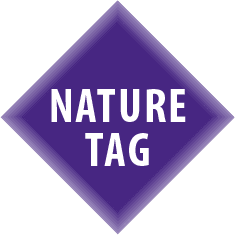 • For commercial purposes, the applicant must have a business license and must be registered at the Chamber of Commerce. • The vessel that will use the buoy must be the property of the applicant, be registered with the harbor master, and have an NB register number. 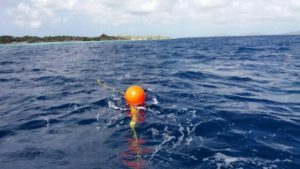 • Permits will be granted only for mooring buoys located on the western coast of Bonaire between Barcadera (GPS-coordinates: 12°12’1.58”N –68°18’32.47”W) and Punt Vierkant (GPS-coordinates: 12°6’42.96”N – 68°17’47.10”W). • It is forbidden for boats longer than 18 meters to use mooring buoys. Longer boats need to contact Harbour Village Marina or Plaza Marina for space. • Persons who fish professionally will not be required to pay a fee when applying for the placement of a mooring buoy if the boat that will use the mooring has a length no longer than 7 meters and uses a motor not stronger than 25 HP. 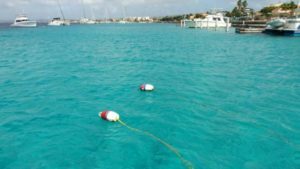 Use of a mooring buoy is $280.00 per year. Please fill out this form to apply for a private mooring.